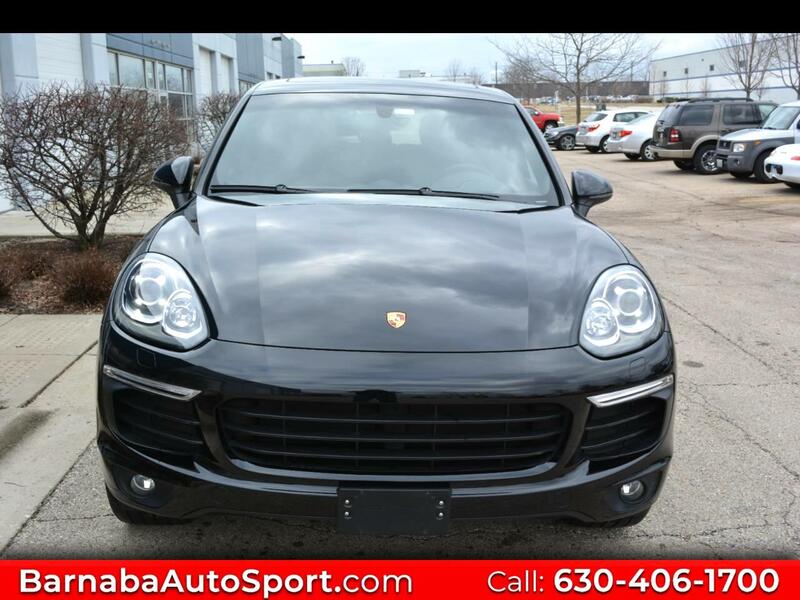 A beautiful, low mileage, one owner Cayenne Platinum Edition that has options that go on and on! Original window sticker of over $72,000! To name a few, this beauty is equipped with 20-inch RS Spyder Design Wheels, painted wheel arch extensions, 14-way power seats with memory, lumbar support, power adjustable steering wheel, front and rear ParkAssist including back-up camera, heated multifunction steering wheel, heated and ventilated seats, Bi-Xenon headlights with Porsche Dynamic Light System (PDLS), power steering plus, exterior and rear-view mirrors equipped with an automatic anti-glare feature, dark-tinted privacy glass, Porsche Crests on all headrests, Porsche Communication Management (PCM) that includes online navigation, Porsche Connect Plus, Bose Surround Sound System, Panoramic Roof System, Lane Change Assist (LCA), and much more! Full service records are available.This is an exceptional Cayenne that is truly hard to find. We are a small Porsche specialty dealership that can offer handpicked cars at reasonable pricing. We can also offer financing, leasing options and extended service contracts. All vehicles are put through an extensive inspection process to insure everything we have for sale is up to Porsche's strict standards. Experience the highest level of service today in a relaxed, friendly environment. Message: Thought you might be interested in this 2018 Porsche Cayenne.